Twelve Democratic attorneys general sued the Trump administration Thursday to block a new rule making it easier for small firms and individuals to band together in association health plans free from many Affordable Care Act market rules. The suit, filed in U.S. District Court for the District of Columbia, alleged that the final rule issued by the U.S. Department of Labor last month violated the ACA, the Administrative Procedure Act, and the Employee Retirement Income Security Act. This represents the latest legal effort to block Trump administration moves to roll back coverage expansions and consumer protections under the ACA. Last month, advocacy groups won a federal ruling invalidating the CMS' approval of Kentucky's Medicaid waiver requiring beneficiaries to work, go to school or participate in volunteer activities. Administration officials and some small-business groups say the association health plan rule will give small businesses and self-employed individuals access to leaner, cheaper health plans. But many insurance experts warn it will siphon younger and healthier groups and individuals out of the ACA-regulated market, driving up rates. In addition, regulators say it will lead to a spike in insurance fraud and insolvencies that plagued consumers and healthcare providers in the past. The lawsuit argues the purpose of the rule is "undo" the progress states have made under the ACA in decreasing uninsured rates, ensuring comprehensive coverage, and stabilizing the individual and small-group insurance markets. Plus, the attorneys general say the rule will harm the states by forcing them to devote resources to policing a flood of inadequate or fraudulent plans offered by associations. "The Trump administration is once again waging an assault against the fundamental rights of Americans to have access to safe, high quality, affordable healthcare," New York's Democratic Gov. Andrew Cuomo, whose state joined the suit, said in a written statement. But Christopher Condeluci, a Republican healthcare lobbyist and former Senate staffer, said the Labor Department complied with the Administrative Procedure Act in issuing the rule. 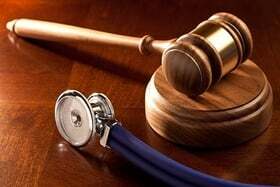 Court precedent, he added, allows the agency to modify its previous interpretive rules defining employers that can band together in associations to buy health insurance. The attorneys general allege the Labor Department unlawfully redefined the term employer to expand the class of large employers to include groups formed for the primary purpose of selling health insurance, which previously had been illegal. In addition, the attorneys general said the rule violates the ACA, ERISA and case law by letting self-employed individuals with no other employees participate in association plans, putting their health and financial security at risk. The suit also claimed the rule conflicts with ACA protections for small employers and individuals because association plans are not required to cover all the ACA's essential benefits and they can set premiums based on members' age and health status. Both the administration and independent analysts project that as many as 4 million Americans will leave the ACA-regulated individual and small-group markets over the next five years to join association health plans. Experts say that could seriously weaken the ACA markets and drive up premiums for people who want to buy comprehensive plans with ACA consumer protections. Provider and insurance groups are leery of association health plans, warning that they could leave patients, physicians and hospitals on the hook for unpaid medical bills that should have been picked up by association plans. There is a long history of shady and inept operators of association health plans and related multiple employer welfare arrangements, with dozens of civil and criminal enforcement actions at the state and federal levels. Citing ERISA, abusive operators of association health plans often have taken advantage of unclear lines of regulatory authority between the states and the federal government. Patients have had to file for bankruptcy to escape providers' claims for large unpaid bills. Such cases have declined since the ACA made health insurance more affordable and accessible for employers and individuals without access to large-group coverage. The states joining the suit are California, Delaware, Kentucky, Maryland, Massachusetts, New Jersey, New York, Oregon, Pennsylvania, Virginia and Washington, plus the District of Columbia.